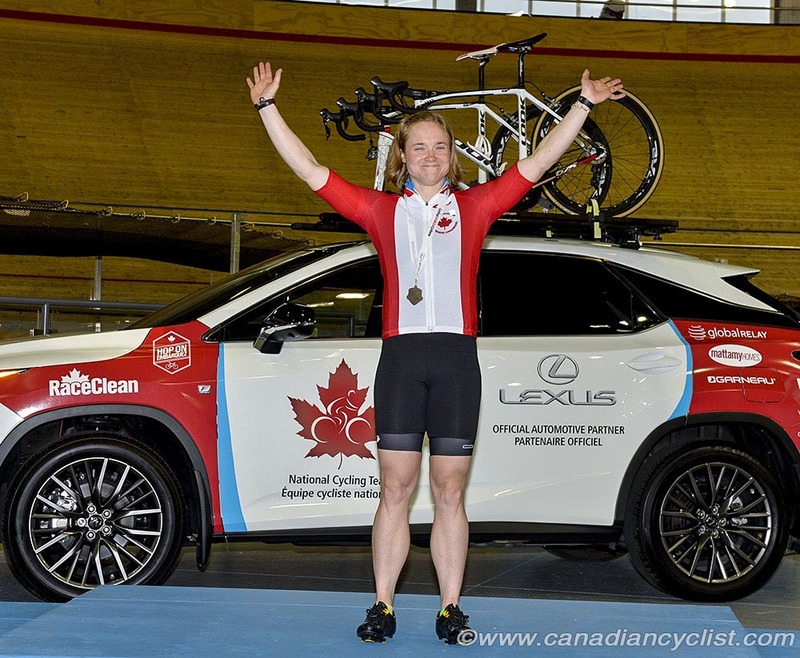 Day Two of the Canadian Track Championships p/b Lexus, on Sunday, had 15 titles awarded across the Elite, Masters and Para categories at the Mattamy National Cycling Centre, in Milton, Ontario. The Sprint competition saw Rio Olympian Kate O'Brien of Calgary win her second national title in Elite women, after winning the Team Sprint on the opening day. O'Brien was unmatched, qualifying first and winning every race on her way to the title. In the final, O'Brien beat Natalie Cormier of Bromont, Quebec, in two straight rides. Tegan Cochrane (Kelowna, BC) won the bronze. Joel Archambault of Ste-Christine, Quebec, won the men's title in similar fashion, also his second national title. Archambault beat Michel Herszak of Edmonton for the title, however, since Herszak is not a Canadian citizen and ineligible for a championship medal, third placed Patrice St Louis Pivin of Windsor, Quebec, was awarded the silver medal. 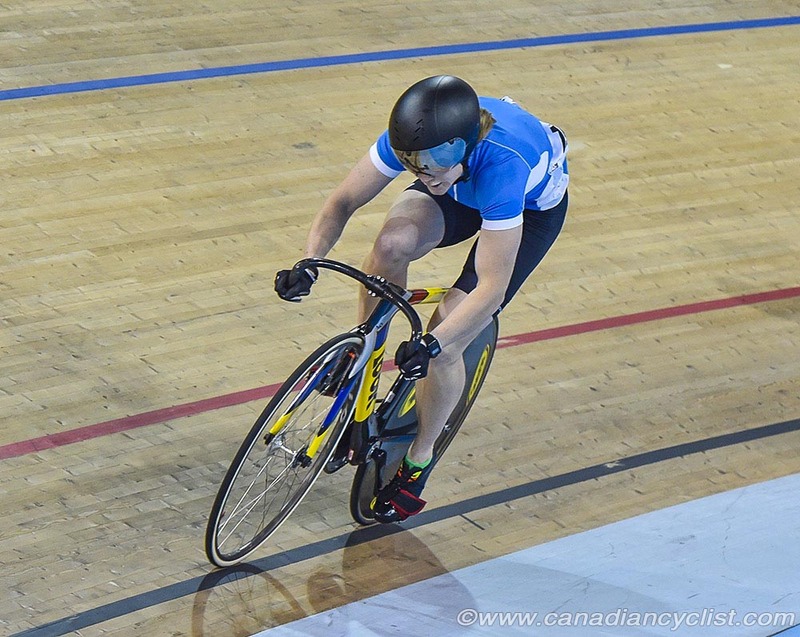 In the Individual Pursuit competition, Kinley Gibson of Edmonton won the Elite women's title, finishing nearly two seconds ahead of Annie Foreman-Mackey of Kingston, Ontario. Stephanie Roorda of Vancouver won the bronze medal. 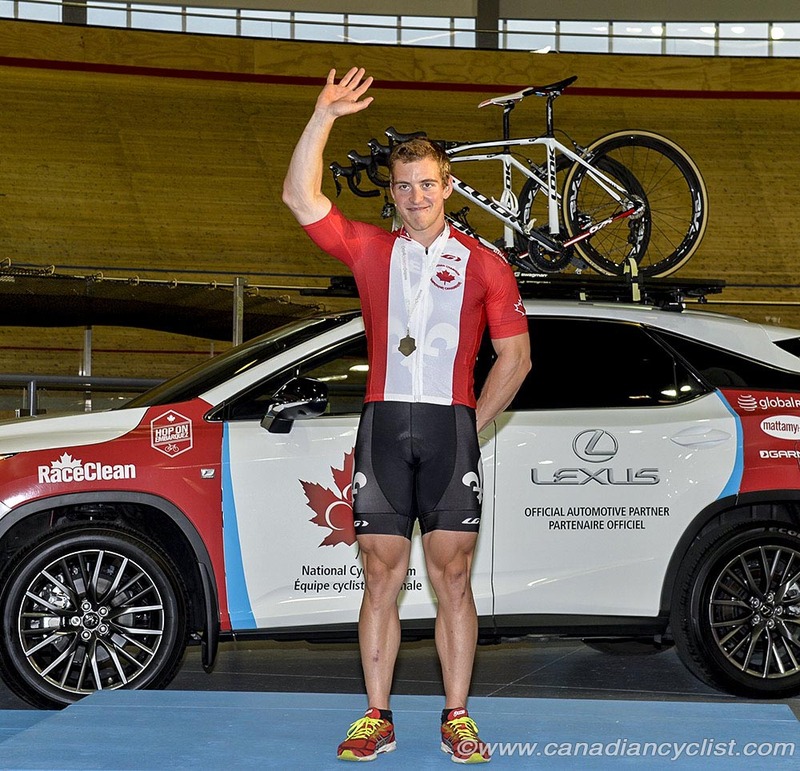 Ryan Roth of Guelph, Ontario, the national road time trial champion, dominated the Men's Individual Pursuit, finishing nearly three seconds in front of Jay Lamoureux of Victoria, with Adam Jamieson of Barrie, Ontario, winning the bronze medal. National titles were also awarded in Sprint, Scratch Race and Team Pursuit competitions in the Masters women and men categories. 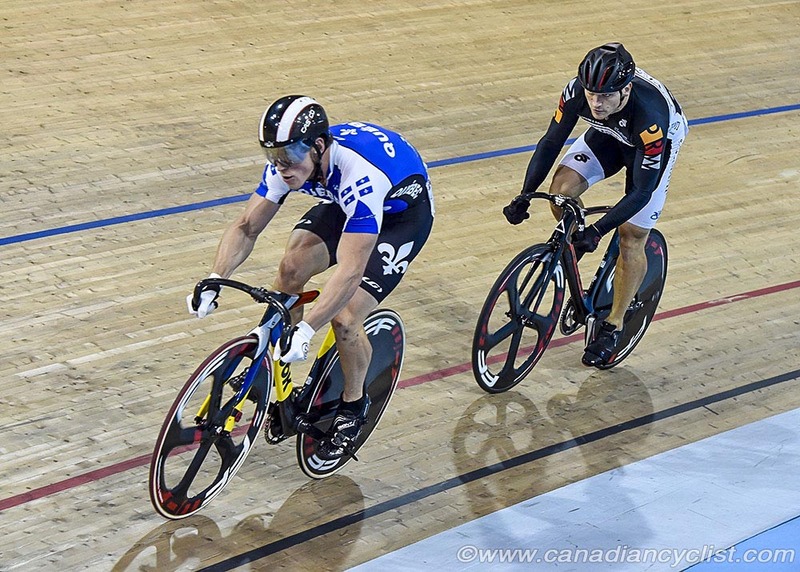 The Canadian Track Championships p/b Lexus conclude on Monday, with titles awarded in the six event Omnium, Keirin and Madison competitions.